November will be a fairly quiet month in the metro Atlanta/north Georgia raqs community... don't miss the Unmata workshop show at Red Light Cafe on the 9th! Doors open/Open Drumming & Dancing at 7:00 p.m. If you're lucky enough to have a ticket, you'll enjoy performances by Jahara Phoenix, Sherar, Jendayi Dance Company, Global Dance, and special guests! Build your own unique, custom-made bra and belt, suitable for any style of dance, in this three-part workshop with Mina of Dalloua Dance. Check out the Facebook event for more details! 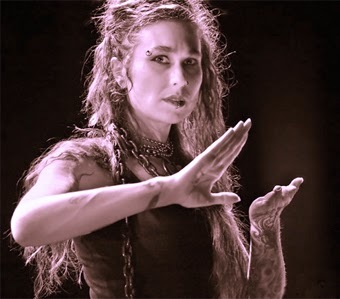 Amy Sigil, founder of the legendary West Coast tribal fusion troupe Unmata, brings a unique series of workshops to Atlanta. Choreography workshop Friday evening; Unmata's Hot Pot group improv format Saturday; The Human Adventure and Creative Dance Games on Sunday. RSVP to the Facebook event for all the latest news. Dance and enjoy performances by Nazeem Allayl troupes and students at this women-only event. Snacks and drinks included with your ticket; $10 in advance, $15 at the door. Get your tickets here. Amy Sigil, members of Unmata, and over 25 of the most talented performers in the Southeast will perform! Click here to purchase tickets; $25 in advance, $30 at the door. 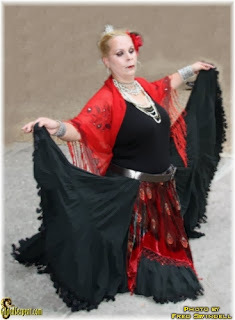 Workshops 1:00-4:30 p.m.; Hafla 7:30-9:30 p.m.
An afternoon of workshops followed by a hafla. Visit the Facebook event for details! Workshop 4:00-5:00 p.m.; Benefit Hafla 7:00 p.m.
Bring canned or non-perishable food items for admission to Evadne Medina's annual fundraising event, featuring a mini-workshop with Qamar in Tribal Odyssey group improv. Check out the Facebook event for more information!